Years ago, Katie Sanford’s husband was convicted of the murder of Jenny Robbins, then died himself in prison. It’s a small town and memories are long, and Katie and Jenny’s husband, Chief of Police Jake Robbins, have had to work at putting the tragedy behind them. But it's all brought up again in the wake of a hurricane which has just wreaked havoc on their quiet Maine town. Since its founding, Wilton has had a quaint tradition of creating a time capsule every 50 years, and the storm unearthed the most recent capsule. As the editor of the local paper, Katie joins Chief Robbins to supervise its opening. Neither of them is prepared for the macabre set of predictions, dating back to months before Jenny’s murder, that they find inside. Someone predicted her death, as well as 11 other tragedies, which are still occurring even long after the death of Katie’s husband. At last, after all these years, Katie has reason to hope that her husband might not have been guilty of Jenny’s murder after all. But as she and Jake race to stop the next predictions from coming true, they find themselves caught in a terrifying mind game with no rules…and life or death consequences. 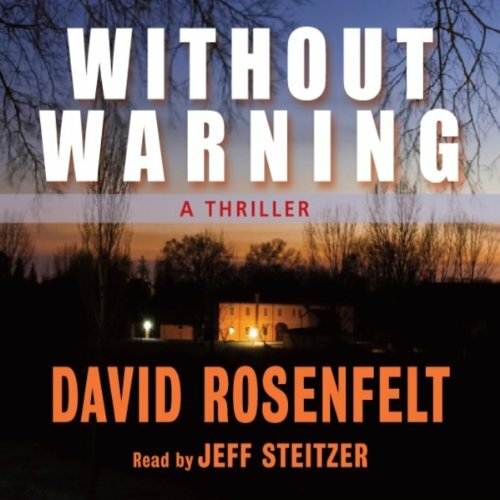 In Without Warning, David Rosenfelt has written another tightly plotted thriller that will hold listeners in its grip from the opening page all the way through to the stunning conclusion. I know (and love) David Rosenfelt's work from his wonderful Andy Carpenter series. This is my first time listening to something else he has written. And this book did not disappoint in any way. On the contrary, if possible, I even liked it better! The premise of this one could so easily have been mishandled by someone with less skill and talent, But Rosenfelt makes it very credible. After a hurricane in Maine, a town decides to open a time capsule which should not have been opened till way into the future, fearing the water damage present might have affected it's contents. And what they discover turns the town on it's head. Instead of usual local items of historical interest and predictions, there is a corpse and a different set of predictions that could only have been written by someone planning future crimes. They give proof that a murder for which they thought they had convicted the right person several years ago, could not have been committed by him. Unfortunately, the man convicted was killed in prison, so cannot help them now. It falls to chief Jake Robbins to try to stop what he fears will be more murders now that he has this fresh evidence, but as he races against the clock, he finds himself becoming one of the main suspects. Excellent writing. Excellent narration (though Steitzer had a tiny bit of difficulty with some women's voices). The plot flows well and quickly, the characters are well-drawn, and the tension is present in a way that kept me drawn in from start to finish! 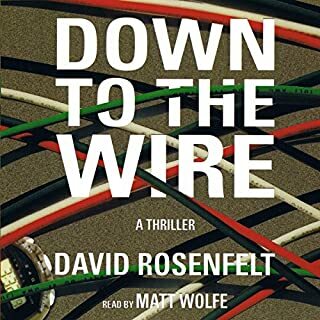 Can't wait to go back and read another of Mr. Rosenfelt's non-series books. If they all are as a good as this one, I'm sure they will be wonderful! 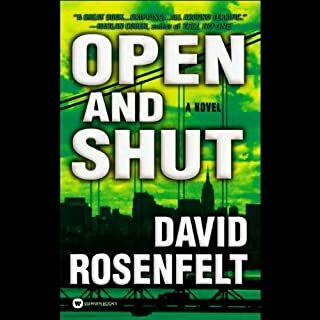 I love David Rosenfelt's writing and his fantastic sense of humor. I thought this was a really good book with a great performance. The premise is really amazing, and I appreciated that it had a basis in reality instead of being considered of supernatural organization. The pace is fast and appropriate and the story feels real with many possible details. Very interesting book and premise. I purchased based on a review that I read online here at Audible. Great characters, suspenseful and I didn't want to go to sleep because I wanted to hear the end of the story. I would recommend this book for a nice suspense strory for a relaxing time. It isn't a edge of your seat thriller, but has a good plot and is well written. Would you recommend Without Warning to your friends? Why or why not? Same question as above, and the same answer. 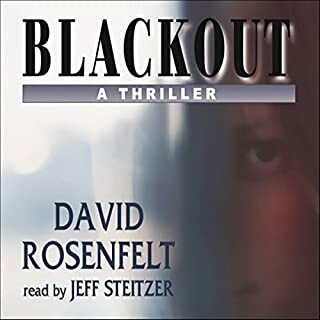 If you want a suspense book that is good without the heart racing, must finish now, relaxing listen, by all means purchased this book. Worth reading. It is NOT high suspense though. Have you listened to any of Jeff Steitzer’s other performances before? How does this one compare? This was my first time to hear him. He did a very nice job with the performance though. Do you think Without Warning needs a follow-up book? Why or why not? Worth the read and I will probably read other books from this author. What did you like best about Without Warning? What did you like least? 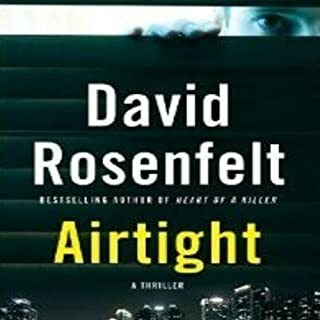 Rosenfelt has never written the nitty gritty crime dramas that I have come to expect from other writers. He has written the funny, witty and nice murder mysteries that are the Andy Carpenter series. Stick with those. This book does NOT allow you to think of anything for yourself. For example if a character opens a door, the author will be sure to tell you he walked *through* the door. Except for some curse words, I think a 5th grader might even get insulted reading this book as it spells everything out. It's trite and lots of things are horribly contrived. 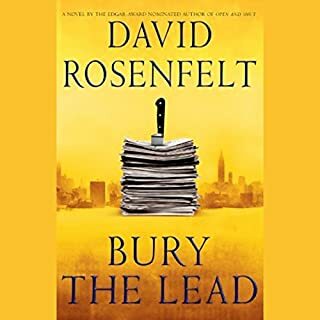 What could David Rosenfelt have done to make this a more enjoyable book for you? Removed any first person narrative. Not spelled out every detail - especially with the horrible habit of two verbs i.e. "we asked for AND requested a table." There is a lot of that in the book. Nice timbre but except for 2-3 characters, they sound like cartoons. no. However, if the same basic story were written by another writer it would probably be okay. Still it moves toward far fetched at the end. LOVE Andy Carpenter but this fails. It is written with such a simplistic, obvious narrative that I found myself laughing at the main character. Honestly. Who would you have cast as narrator instead of Jeff Steitzer? Someone with a younger, more energetic voice. I felt like I was listening to my grandfather which made all the romance stuff totally unrealistic. Aren't the characters in their late thirties or early forties? What character would you cut from Without Warning? It just felt like a story for young readers. It had no complexity and was very predictable. Different narrative tone in the reading and writing would have helped, but the story would still be 2 stars at the most. I love his Andy Carpenter books, but, man, this was bad. I actually felt sorry for Rosenfelt by the end. This was one of the stupidest books I've ever read. Stayed with it based on the authors past books, but it was pretty rough. Thoroughly enjoyed the book. 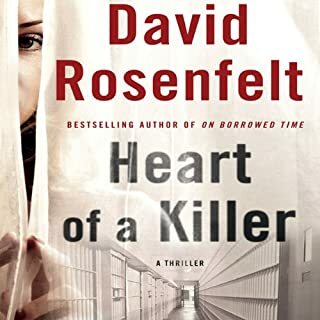 I think I read all of David Rosenfelt's books and I think he is one if my favorite authors. Small town sheriff is real. Loved the beginning and end. A little predictable but it will get you through a 7 - 8 hour drive easily.